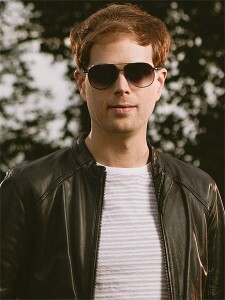 Last October, American Idol‘s Scott MacIntyre was given just six months until his kidneys would fail. But eight months later, thanks to an anonymous donor, he has undergone a successful transplant. “I am so grateful to have received the gift of life through organ donation for the second time,” reads a statement from MacIntyre, 29, who was born blind and previously underwent a kidney transplant at the age of 22 after he was diagnosed with kidney failure in his late teens. The season 8 Idol contestant‘s first transplanted kidney was donated by MacIntyre’s college piano teacher’s wife, but he remains in the dark about the identity of his new donor. The kidney was given by an anonymous living donor on June 4 at Vanderbilt Hospital in Nashville, one of several individuals who underwent compatibility testing. This particular person heard about MacIntyre’s kidney failure on the radio and turned out to be a great match. Upon being released from the hospital, MacIntyre will require a six-week recovery period. But the singer is looking forward to returning to promoting his latest album, Lighthouse, releasing new episodes of his iTunes podcast 2 Blind Men, and says he is “excited to begin a new chapter of life” with his wife Christina.